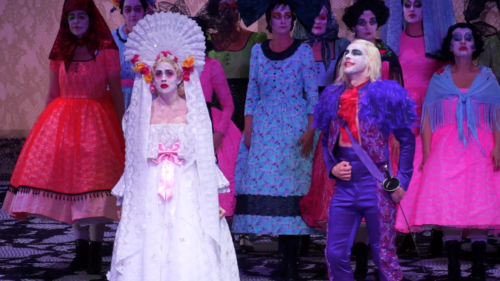 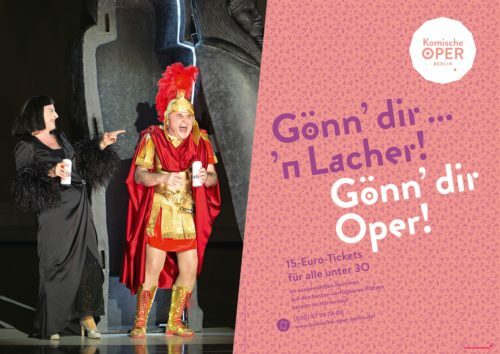 With three opera houses in Berlin, the Komische Oper stands out for its decidedly unstuffy atmosphere, its bawdy humor and its approachability. 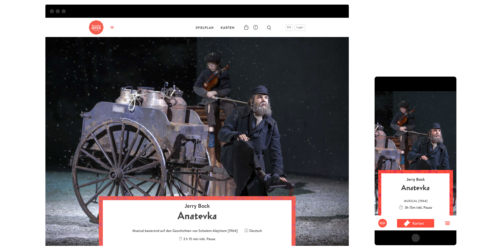 Following the appointment of Barrie Kosky as artistic director in 2011, we were entrusted with reimagining the music theater’s complete visual identity. 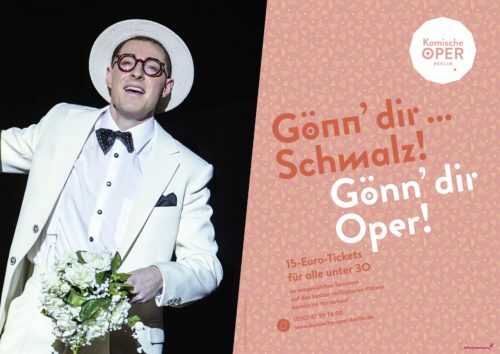 Under new direction, many traditions were maintained, but Kosky has made a point of bringing back works to the stage which had been suppressed during National Socialist Period, and forgotten after the second world war. 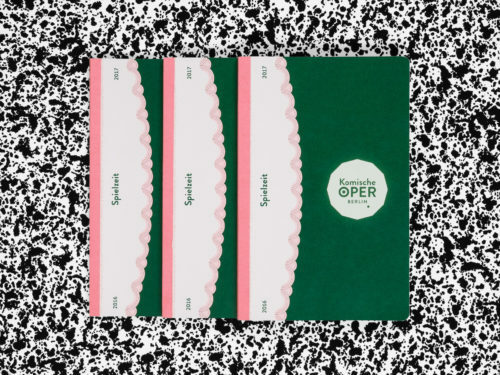 Our proposal sought a visual tension between the past and the present, evoking graphic motifs common to the art and design movements that coincided with the opera house’s long history. 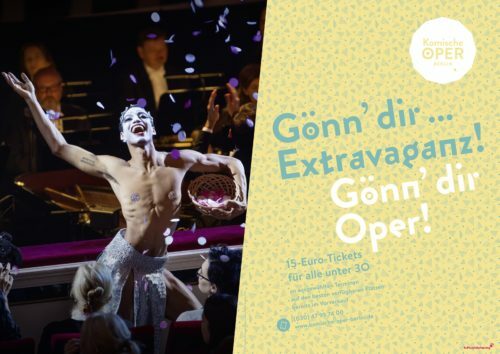 For the 2016 season we collaborated with Hannes von Döhren on a set of custom glyphs for his popular typeface Brandon Grotesque. 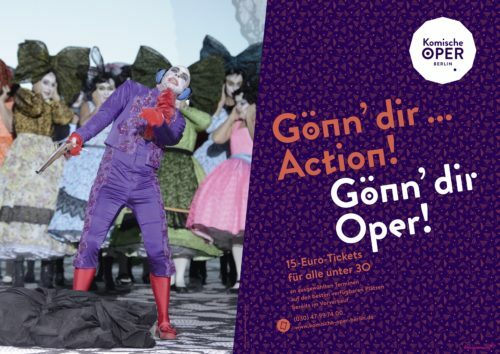 The modified letter-forms, created exclusively for the Komische Oper Berlin, came to be known as Brandon Comique. 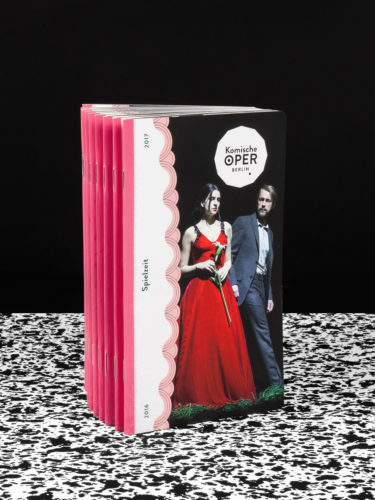 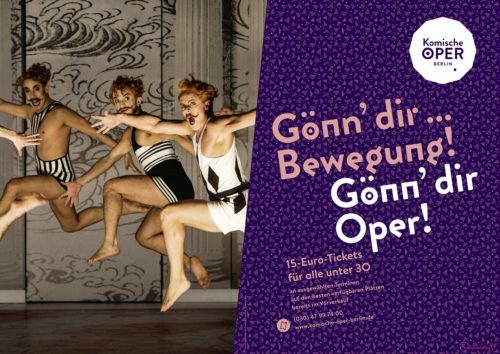 For the Komische Oper Berlin, tradition is understood as a process of continuous renewal: Each new season is an opportunity to modify the look and feel of the print publications. 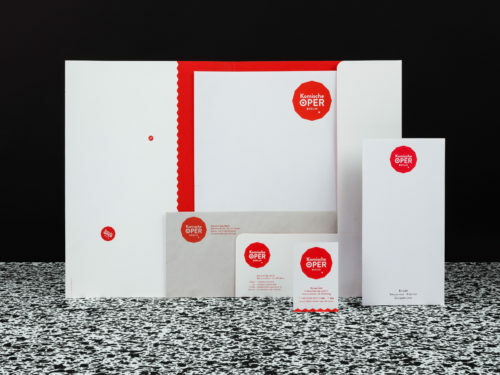 Much attention is paid to detail: the brochures’ rounded corners, for example, have become a much cherished feature of the brand. 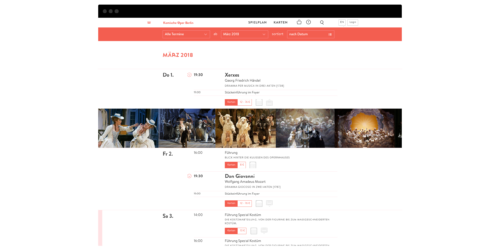 As well as producing or art directing much of the opera house’s printed matter, we also designed the online presence, which underwent a major overhaul in 2017, as well as the interior and exterior signage. 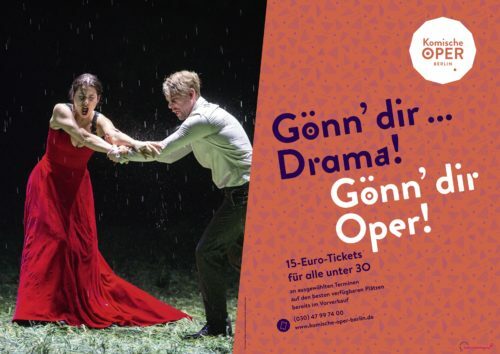 Working closely with the marketing department, we have taken part in a number of workshops, playing a key role in the opera house’s long-term communication strategy. 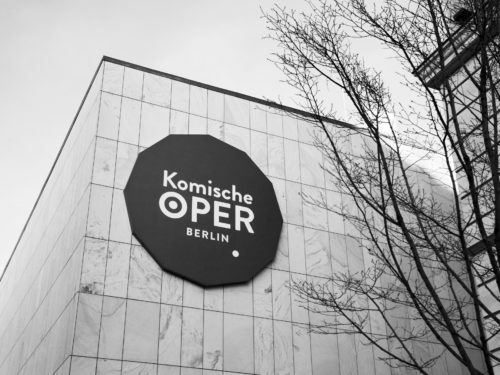 A change in artistic leadership marked the beginning of a new era at the Komische Oper Berlin. 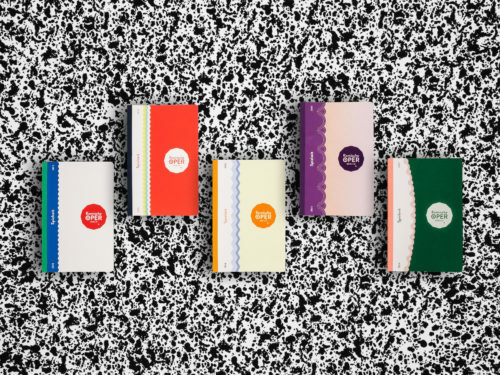 We created a vibrant graphic identity which synthesized familiar historical tropes into a joyous celebration of the contemporary. 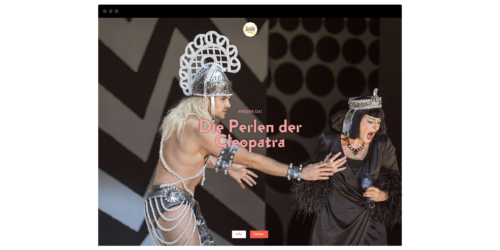 A highly adaptable set of visual devices helped our client tap deeper into its communicative potential and find new voices to address its heterogeneous clientele. 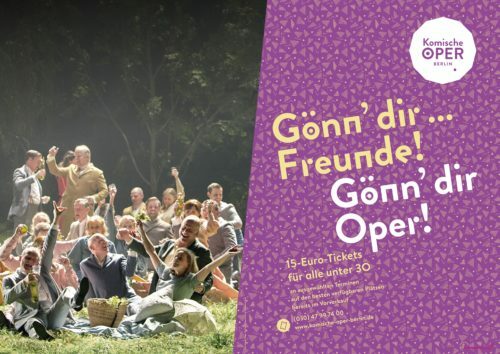 The payoff for a wonderful collaboration: average visitor capacity grew to almost 90% in the 2015/16 season. 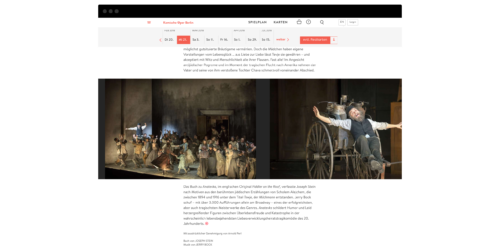 The film loop at the top of the page shows a fragment of Herbert Fritsch’s Don Giovanni, performed at the Komische Oper Berlin.